One of the most common and effective of the “classic plots” for a novel is the quest. Many epic tales are based on it – Frodo and the Ring, Indiana Jones and the Ark, Odysseus and his attempt to get home. But the passion to create and to discover in the real world can be just as compelling, if they are captured well. I’m always looking for books that pull it off, and here are five that I particularly enjoyed. Ship of Gold – in 1857, the SS Central America was wrecked off the Carolina shore on its way back from the California gold fields, with hundreds of people and tons of gold aboard. The exact location of the wreck was a mystery – a puzzle that Tommy Thompson was determined to solve. He is an entrepreneur and explorer and inventor who spent 10 years searching for the wreck and preparing for the salvaging operation. Along the way, he invented a whole range of new equipment and techniques for doing deep-water recovery – the ship was 8000 feet below the surface, distantly out of the reach of traditional salvaging methods. Thompson throws himself into the project, leading a team of oddball characters and managing investors and lawyers .. while fending off competitors who are watching his every move. He built a six ton remote controlled underwater vehicle called Nemo, with video cameras and robotic arms. How he ultimately succeeded in recovering a few hundred million dollars worth of gold from the wreck is a triumphant story of achieving an extraordinarily difficult mission against all odds. A Place of My Own: The Architecture of Daydreams – Michael Pollan is probably best known for his book “Omnivore’s Dilemma” (which is very good!). But I am a fan of his less celebrated (and quirky) book describing in immense detail how he came to build a writer’s cabin on his property. You may have been involved in a construction project of your own at some point, but I’m going to guess that you didn’t approach it in quite the way that Pollan did. He’s .. well, he’s an obsessive sort of person, and fiercely bookish. And yet he decided that he would build this house himself, starting from absolutely zero knowledge of architecture or construction. Work is how we situate ourselves in the world, and like the work of many people nowadays, mine put me in a relationship to the world that often seemed abstract, glancing, secondhand. . . . Nor did what I do seem to add much, if anything, to the stock of reality, and though this might be a dated or romantic notion in an age of information, it seemed to me this was something real work should do. The two and a half year saga of Pollan and a curmudgeonly builder putting together what is essentially an oversized garden shed is a glorious and beautifully written ode to manual labor mixed with over-thinking everything. To get things rolling, he turns to the writings of … Marcus Vitruvius Pollio, a Roman architect from the first century BC. And to Chinese writings about the principles of feng shui (he tries running downhill to feel the flow of the land and identify a good site for the building). And to poets, architects, philosophers .. the list goes on and on. You get the pleasure of joining Pollan on an absurdly wide ranging set of digressions on the history of architecture, how to design a truss, and the often uneasy relationship between architects and builders. And at the end, you feel like you have traveled with him on a zealot’s quest to create a perfect organic writing space. The Soul of the New Machine – as an engineer, I love the way that Tracy Kidder captured the excitement and the exhaustion of creating a new piece of complex technology. He vividly conveys the marathon sessions of caffeine-fueled intensity, the team driving itself to the edge as it creates and refines a tremendously complex design. It is one of the truest portrayals I’ve read of what it is like to be swept up in that kind of experience. And it’s particularly noteworthy because Kidder is not technical at all – he has no real understanding of the work that the team was doing, yet managed to capture the spirit of it very accurately. This particular machine was built by Data General, in 1981, at the dawning of the age of the mini-computer. It ended up having little impact on the evolution of computer technology, because DEC’s VAX was and remained dominant. But that makes the story even more authentic to me, in some ways – you have to believe that what you are doing is incredibly exciting and important. It’s magical to be swept up in that collective creative act, regardless of the verdict that history ultimately renders on the outcome. How I Killed Pluto and Why it Had it Coming – those of us in my generation grew up in a nine planet solar system, with lonely Pluto orbiting way out in the frigid fringes of the solar system, looping in its eccentric orbit off kilter from everyone else. It was jarring to hear that the astronomers downgraded the poor little wanderer to being a mere “planetoid” – My Very Excellent Mother Just Served Us Nine Pizzas lost its punch line (maybe now she is serving us Naan, to reflect our globally connected community …). What happened? This book answers that question, and it also lets you join Mike Brown, a passionate explorer of the cosmos. He introduces us to his life as an astronomer and his painstaking exploration of the pocket of space around the sun that we call our solar system. You will learn about the Kuiper Belt and its littering of frozen asteroids, you’ll watch astronomers move from massive cameras exposing film all through the night to computers that can capture images hundreds of times more quickly and search for cosmic wanderers algorithmically. It’s a great ride. Double Helix – I almost didn’t include this book because it is so well known, but it’s such an exciting read, and represented such a transformation in our understanding of genetics, that I couldn’t leave it out. If you haven’t read it yet, it tells the story of how James Watson and Francis Crick figured out the structure of DNA, the genetic blueprint for human beings (and every other organism on earth, aside from some viruses). It’s literally the magic key to life on Earth. The book shows the human drama of discovery, complete with a race to figure out the answer before other teams could “crack the code” first. 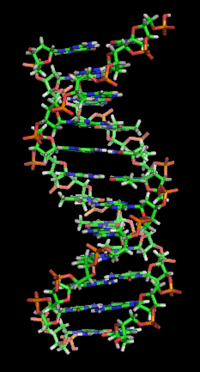 And the result is such a beautiful answer – the double helix structure is elegant and resilient. This is what drew me to science and research as a child – banging your head against hard problems that matter, suddenly having the insight, and then being able to understand how the world works and came to be in a new and exciting way. It’s what science ought to feel like! I’ve found many intriguing ideas about teams and projects from books on seemingly unrelated subjects. I’m convinced there are universal principles that can be used in any environment for virtually any goal that you set your mind and heart to achieve. Twyla Tharp is a very well known choreographer who founded her own dance company in 1969 and has performed many works that heavily influenced her field. She is still active, and in 2003 she wrote a terrific book called The Creative Habit. In addition to many interesting stories and anecdotes from her long life in dance, it is filled with practical advice on how to organize and carry out complex creative projects (complete with many exercises for you to try). “The first steps of a creative act are like groping in the dark: random and chaotic, feverish and fearful .. For me, these moments are not pretty. I look like a desperate woman, tortured by .. a message thumping away in my head.” She tells us how to go from that stage to performance of a completed dance .. and to keep doing it, as she has, through a long and productive life. I’ve always been fascinated by the way that movies are made. I see remarkable similarities between the creation of a movie and a V1 software project. You have an originating vision that must evolve as you go, you bring together experts in many different disciplines who often have trouble getting along, the team must solve very challenging design problems, and there is a long period of refining the raw material into a polished and compelling final product. There is often a tense relationship between the creators and the funders, and the final outcome is the product of many people’s contributions rather than being completely under the control of any single person. William Goldman is one of the most successful screenwriters in the industry. He wrote many famous movies, including Butch Cassidy and the Sundance Kid and All The President’s Men. He’s also written some of the best books about the movie business, including Adventures in the Screen Trade and Which Lie Did I Tell? Check out either one to learn about making movies (with great anecdotes about famous movies and the often deeply odd people who make them). One of his well known mantras is: “Nobody knows anything”. By which he means, nobody has a clue how a movie will do until it is released – the expectations of the most experienced movie makers are routinely confounded. The same can be said about radical new software products! I really like to read poetry, which can often be a rich source of introspection and insight. Catching Life by the Throat, by Josephine Hart, lets you read some wonderful poems and learn about the poets who wrote them. What I love about the book is that it captures the energy and excitement of a great poem and conveys some of the all-consuming passion to create. “I was a word child, in a country of word children, where life was language before it was anything else.” “Poetry, this trinity of sound, sense and sensibility, gave voice to experience in a way no other literary art form could .. it threw sudden shafts of light on my own soul and drew at least the shadow outline of the souls of others.” The act of creating anything new springs from passion and is refined through unceasing and painstaking effort. This is a passionate book about the magic of poetry. You may have heard about Josh Waitzkin because of his father, who wrote a fun book called “Searching for Bobby Fisher” about the development of his son into a chess prodigy. The book, which was also made into a movie, is a fascinating glimpse into the peculiar world of obsessive chess players. Mostly ignored by mainstream society, the subculture occasionally bursts into view, as it did during the cold war or when its stars were pitted against supercomputers in man vs. machine contests. Josh had a long period of prominence in the chess world, starting when he won the National Chess Championship at 9 years old. He then went on to become a Tai Chi world champion as well! From these experiences, Josh wrote his own book called The Art of Learning. He shows how he takes on a new discipline and applies the same approach to it that he learned as an obsessive childhood chess player. He copes with losing, deals with adversity, and is very systematic about achieving an extreme level of skill and ability. He’s also able to learn from just about anyone – as a child, he got some of his best insight into chess from playing street hustlers and gamblers. The book is an unusual blend of autobiography and instruction, with a wealth of anecdotes about the extremely different and equally obsessive worlds that Josh has inhabited throughout his life. I decided to learn how to draw as an adult, and I love doing it. Many excellent books helped me along, but one stands out particularly when it comes to letting creativity flow (in any field). Julia Cameron wrote The Artist’s Way to help unblock artists and get their creative juices flowing. It became unexpectedly successful and the series that it spawned has sold millions of copies. It does have some new age religious ideology that doesn’t resonate with me, but it is chock full of productive exercises to help you work through blocks and loosen up. She lays out a 12 week process for breaking through obstacles, finding what really inspires you, and making it happen. I think that any great achievement starts from a deep passion. Once you know what you are inspired to do and you begin pursuing it with conviction, you are on the path to a life of meaning. This book can help you find it. Have you found insight in unexpected places?